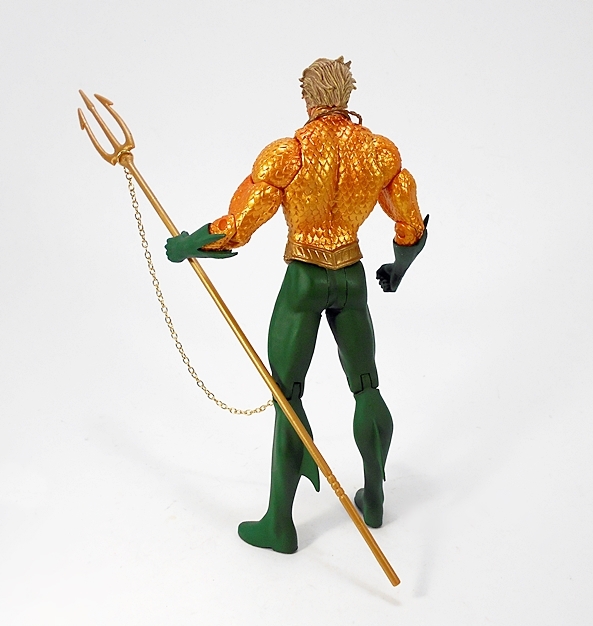 It may be the New 52 look, but Aquaman’s costume still retained much of its classic and timeless design. 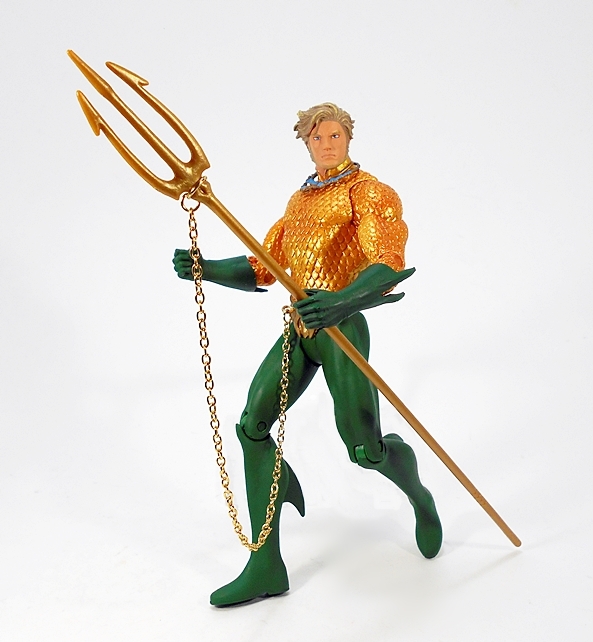 The figure features the scale armor tunic with some gorgeous metallic golden-copper paint, a stylishly sculpted belt, green gauntlets, and the green leggings with sculpted fins on the backs of his calves. As far as the costume itself goes, there’s nothing really groundbreaking here, but when it comes to this costume, I always love the contrast between the dark matte hunter green and the glittery top and this figure showcases that perfectly. 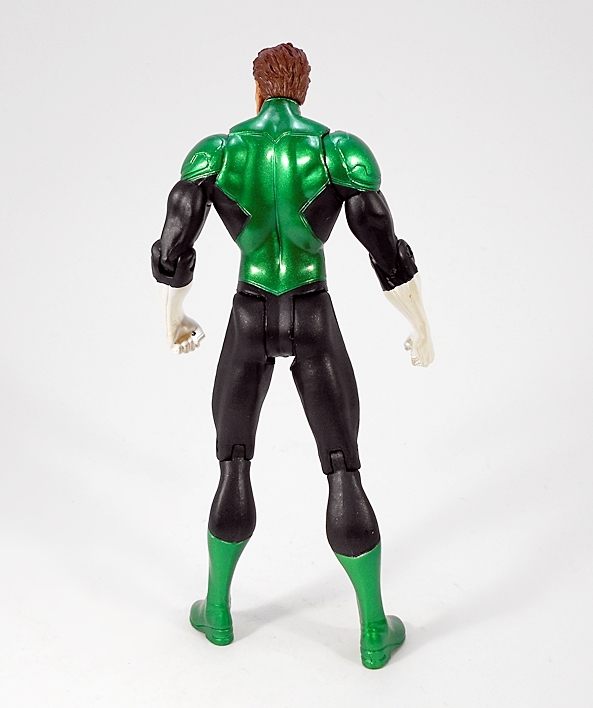 There are a couple of nice touches that make this figure rather distinctive. First, he has a pretty cool necklace hanging around his neck. 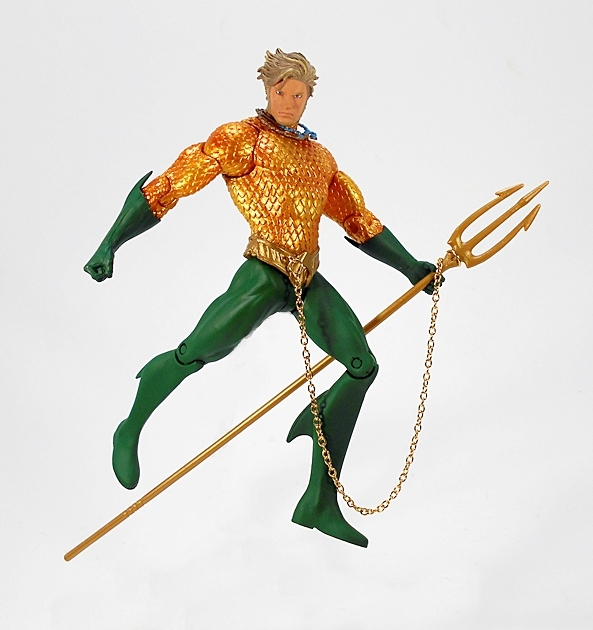 Secondly, his trident is attached to his belt with a gold chain. 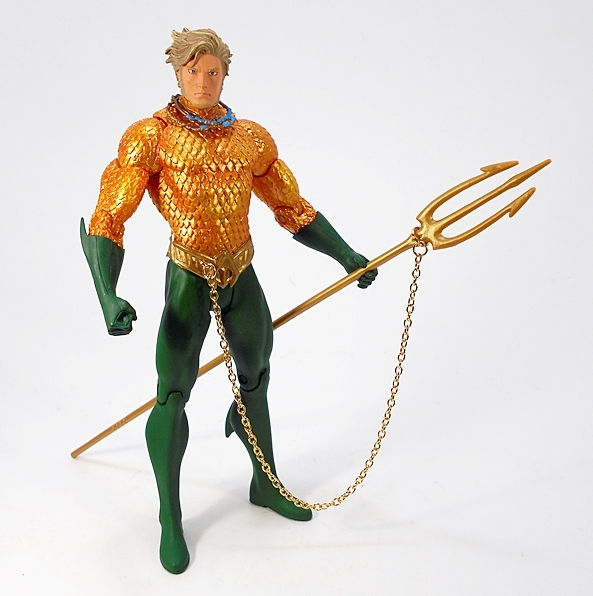 The trident itself is nothing special, just a simple sculpt cast in gold plastic, but the chain is a cool addition, that is unless you want to display the figure without the trident, because it’s clearly not meant to be taken off. 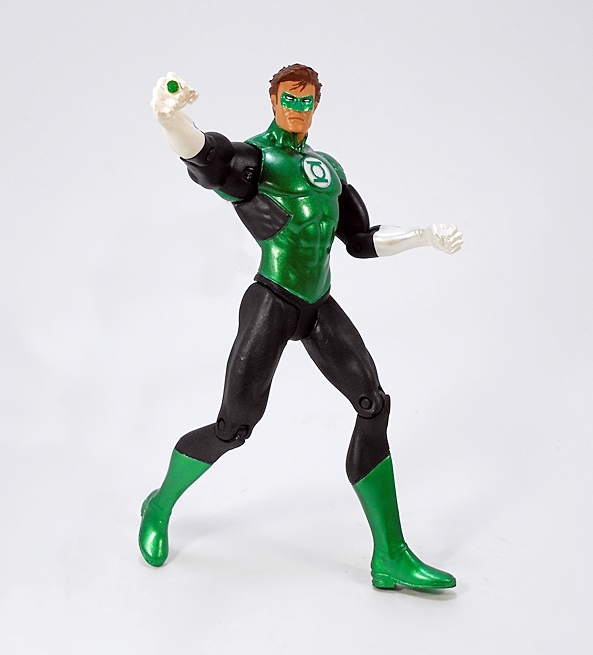 Green Lantern features one of the simpler sculpts in this set. He does feature some cut panel lines in the shoulders as well as his chest emblem being sculpted. Other then that you mainly just get some nice muscle definition. 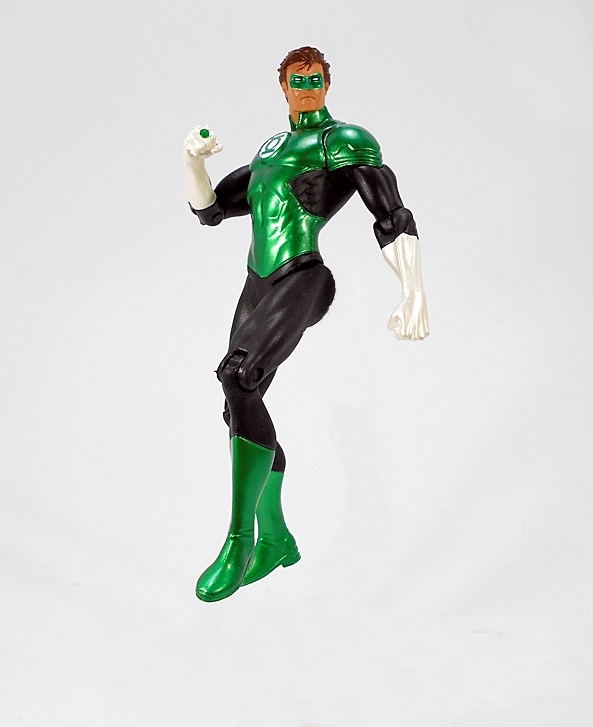 The costume features a mix of matte black, metallic green, and some lovely pearlescent white for the gloves and face of the chest emblem. 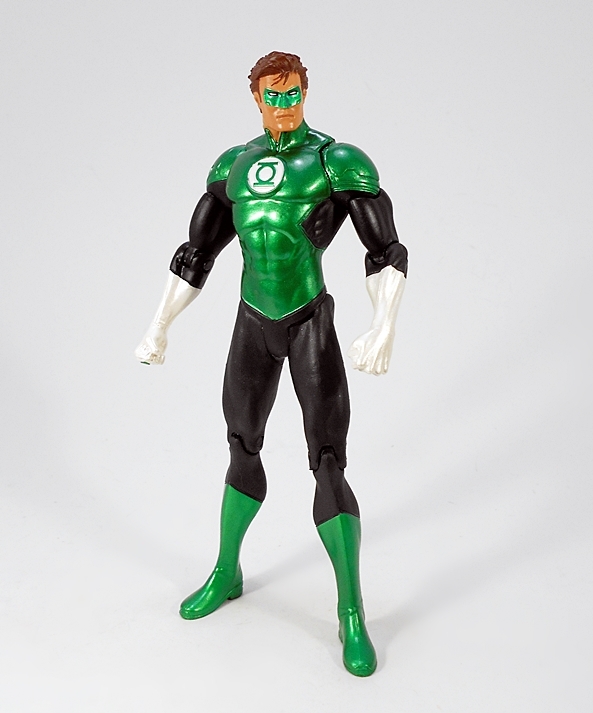 The metallic green paint on this guy is quite the eye catcher and it reminds me a lot of the finish Kotobukiya used on their excellent ArtFX+ Hal Jordan only not quite as brilliant. They did a particularly nice job with his ring. It’s both well defined and neatly painted. 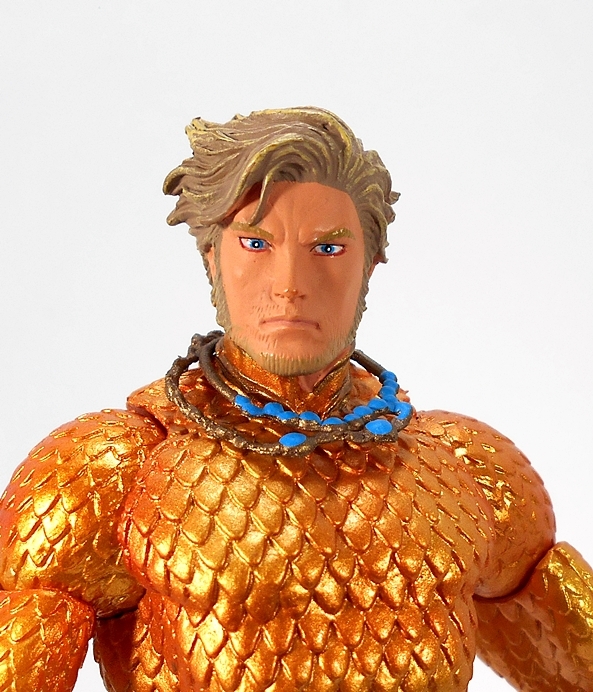 The head sculpt here doesn’t impress me as much as Aquaman’s, but it is very good. 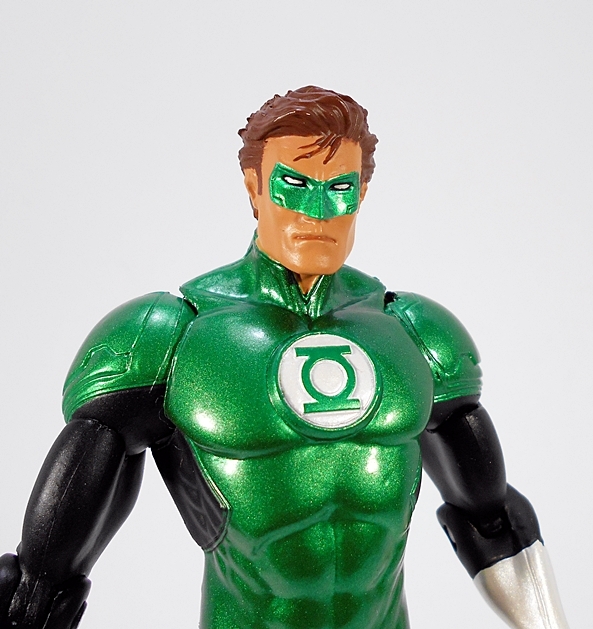 It features a rather stern expression, the mask is part of the sculpt, and the paint is all on point. I like the stray wisps of hair over his forehead and more of that lovely green paint on the mask. 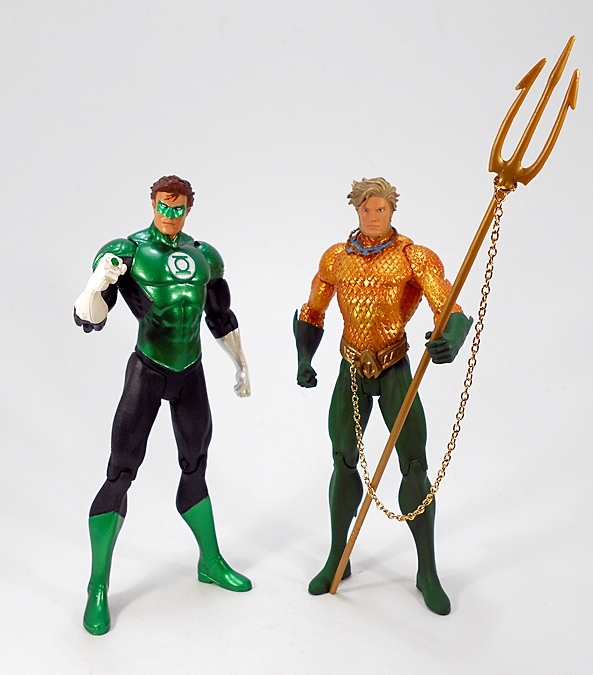 The articulation is identical for both of these figures. 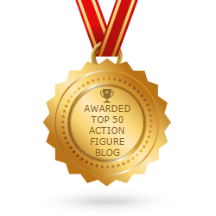 You get rotating hinges in the shoulders, swivels in the biceps, hinges in the elbows and knees, ball joints in the necks, and t-crotches for the hips. These aren’t super pose-able by any means, but I can still have a little fun with them. So, overall there aren’t a lot of surprises with this pair, but what’s here is exceptionally well done. The sculpts are solid, the portraits are excellent, and while they aren’t going to feature the play value of DC Icons or even Mattel’s 6-inch DC lines, they look fantastic up on my shelf, especially when displayed with the rest of the Justice League. I believe these are pretty much the same as the individually boxed releases, but I have yet to see those in person, so there may be some variations at work. On the next DC Friday, I’ll wrap up this set with a look at The Flash and Cyborg!